The young Huntington photographers produced some exceptional work during their trek into Manhattan. 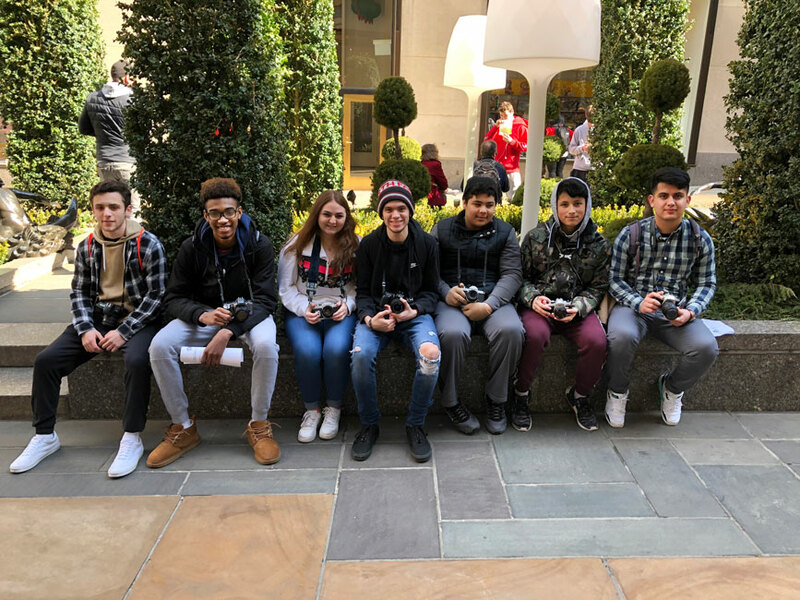 Huntington High School photography students recently traveled into Manhattan for an opportunity to shoot documentary images on location along New York City streets. The group included 62 Introduction to Photography course students and nine adult chaperones. The contingent traveled into Penn Station on the Long Island Railroad. 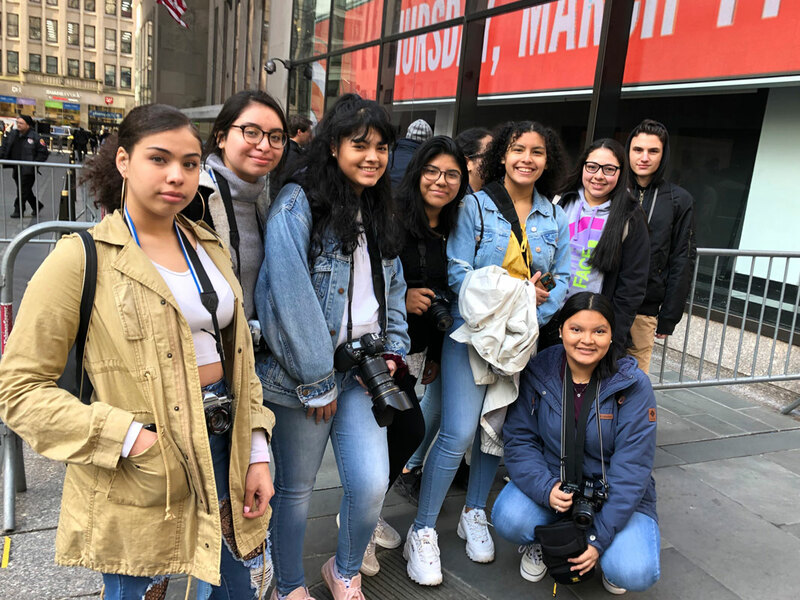 Once they stepped out onto Manhattan’s busy streets, students learned about documentary photography and looking at the details of everyday life in the booming city. Students carefully composed their images with the hopes of capturing something unique and interesting. Their work is simply sensational. 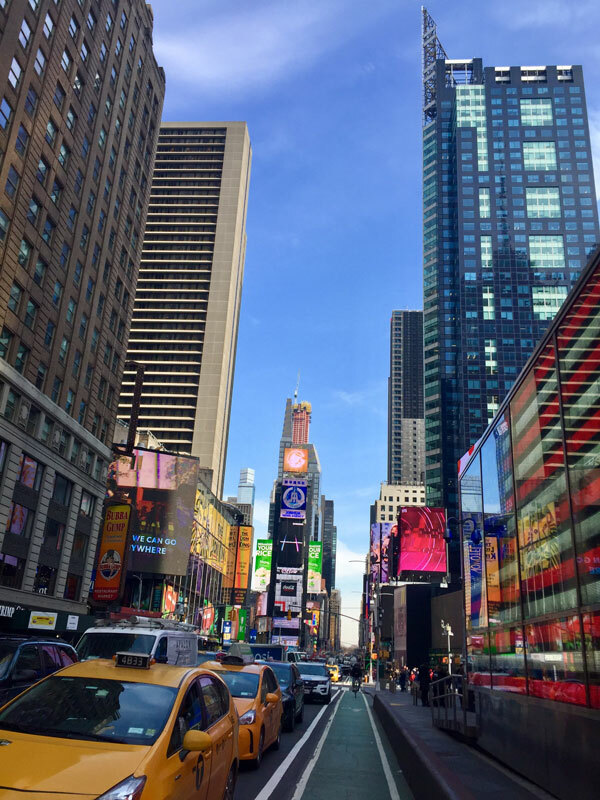 Manhattan is one of the world’s leading photographic centers and the city’s always vibrant life gave students endless choices as they went about completing their class assignment. 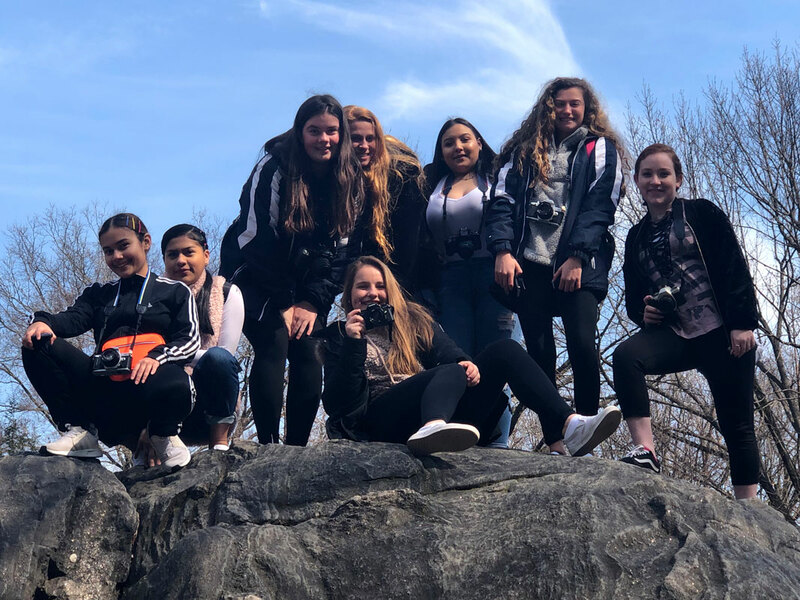 “This trip was a great way to capture moments in New York City and I loved the freedom it gave us to walk and take pictures of what we wanted,” Alexa Amorison said. 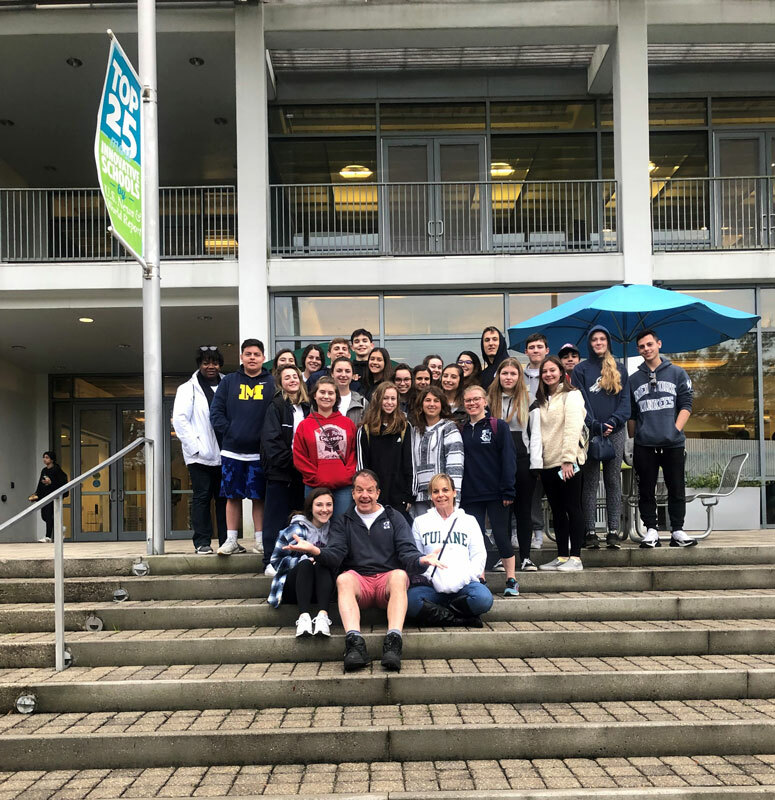 The trip both educated and inspired the teenagers, who returned to Huntington with plenty of new ideas. Students were broken into groups of approximately eight students per chaperone. Each group was given a map to follow. They all went via a different route, but all passed by the same points of interest. Groups visited St. Patrick’s Cathedral, Rockefeller Plaza, Times Square, Bryant Park and the New York Public Library. The teenagers quickly embraced to their surroundings as they went about their artistic work. “The weather was perfect and everyone had a fantastic time,” Mrs. Piffard said. 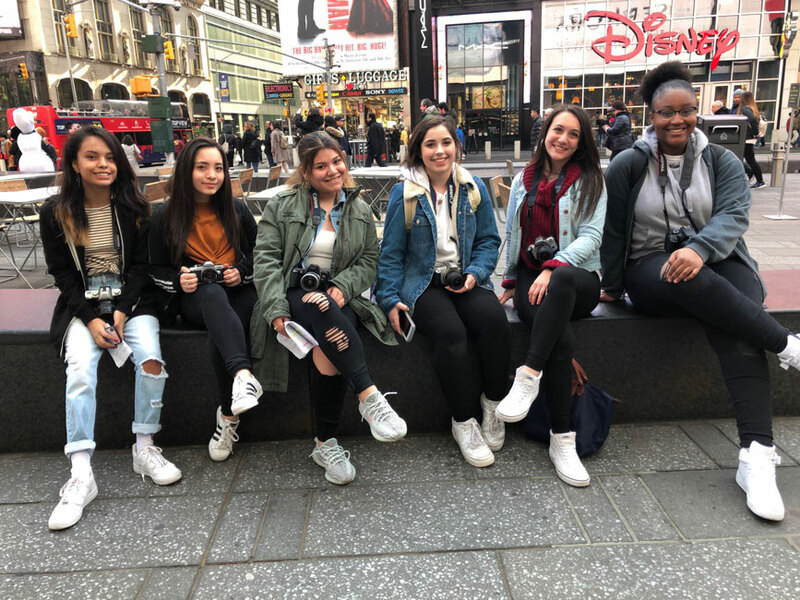 Groups of Huntington High School photographers fanned out across Manhattan to shoot documentary images. Huntington High School photographers explored Manhattan for documentary images one recent day. The streets of Manhattan offered endless possibilities for Huntington High School's photographers. The trip into Manhattan included 62 Introduction to Photography students.